The past is always present on Arrow. 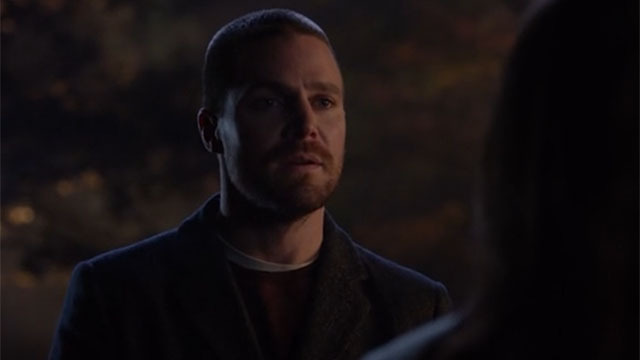 No matter how far Oliver Queen goes to save himself or his city, it always comes back to the sins of his parents. In last week’s episode, Oliver learned that he has another sister: Emiko Queen. And she’s carrying on the family legacy as the new Green Arrow. Meanwhile, Oliver’s best friend, John Diggle, quietly made a deal with Ricardo Diaz to find Dante, a major figure in an international terrorist ring. Diggle did that behind Oliver’s back, but his secrets are starting to come out in Arrow season 7 episode 11. Oliver and Laurel appeared together on a local talk show hosted by Rich Kannon. As Kannon brought up the sacrifice of Robert Queen to save his son, Oliver recalled his disappointing first meeting with Emiko. Even with everything out in the open, Emiko wanted nothing to do with Oliver or his family. She wasn’t the only one holding a grudge. An anonymous kidnapper held Kannon hostage and demanded that Oliver step down from the SCPD. However, Oliver quickly determined that the kidnapper was Sam Hackett, the son of his father’s late body guard. A.k.a. the man Robert killed on the lifeboat to increase his son’s chances of survival. Even Oliver couldn’t deny that he hadn’t come clean with Sam to let him process his loss. Sam set up an electricity death trap in the police headquarters to goad Oliver’s new colleagues into murdering him. Oliver stalled for time until Dinah Lance defused the trap, and he took Sam into custody alive. Oliver then went back on Kannon’s show and outed his father as a murderer. Emiko was impressed by the gesture, and she told Oliver that she’d consider talking to him. Meanwhile, Laurel was haunted by a familiar face from Earth-2: Brett Collins, one of the first men she killed as Black Siren. After an unsettling encounter with Brett, Laurel received threatening notes from him. She almost resorted to murdering him, but Felicity was able to talk her down. Privately, Laurel told Felicity that the Brett Collins of her Earth killed her father in a car accident. She also revealed that she blamed herself for the accident, but Felicity told her it wasn’t her fault. Reluctantly, Laurel allowed Felicity to bring her to Dinah for help, after Cisco Ramon provided some off screen support by confirming Brett Collins wasn’t from Earth-2. It turned out that Brett had already been arrested on unrelated charges. Satisfied with the results, Laurel thanked Dinah and Felicity. Curtis stumbled across Diggle and Lyla’s plans to revive the Ghost Initiative with Ricardo Diaz and other villains. 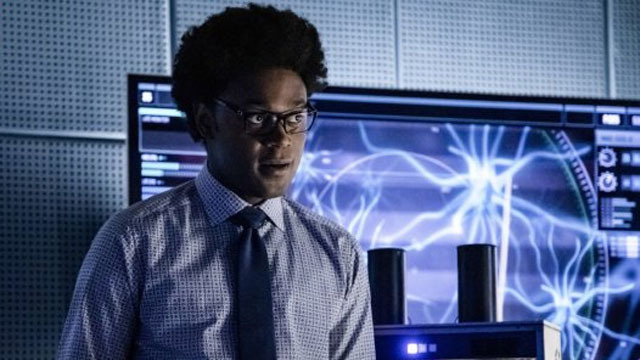 He was suitably horrified, but Diggle ordered Curtis to ensure that the explosive devices in their heads worked correctly. During a test run, Diaz broke free and quickly convinced the rest of his new team to follow him and escape. On his way out, Diaz murdered Curtis and left his body behind before contacting Dante. However, it was simply an elaborate ruse designed to make Diaz believe he had escaped. Curtis taunted Diaz with that knowledge, before attempting to get Diggle to shut down the Ghost Initiative before it officially began again. When Diggle refused, Curtis said that he was no longer blindly following orders. Following the apparent conclusions of both cases, Dinah left the SCPD and went to the parking lot. Unfortunately, she soon discovered a threatening note left in her car. It said “One by one, I’ll kill you all.” Someone is gunning for Star City’s current and former vigilantes. But first, he wants them to feel fear. 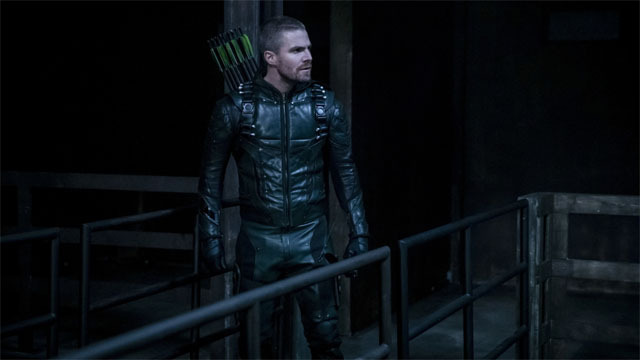 What did you think about Arrow season 7 episode 11? Let us know in the comment section below!